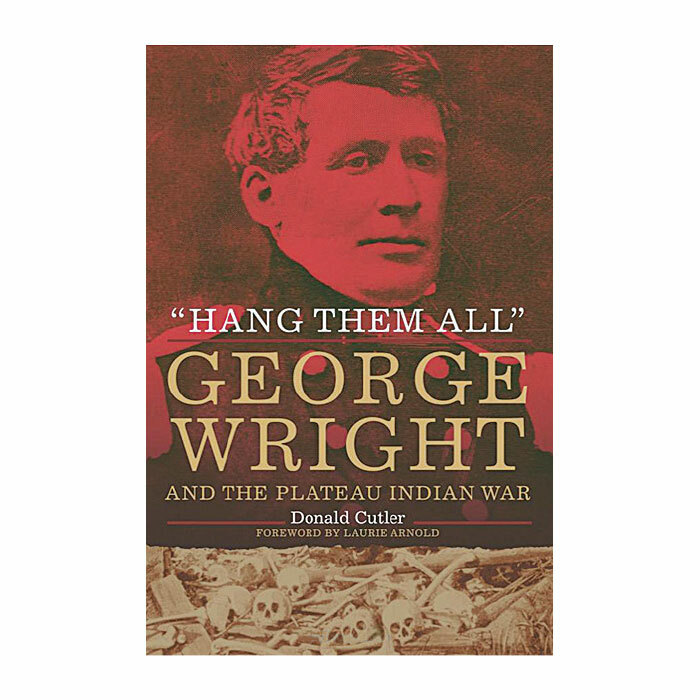 Questions about the viciousness of Col. George Wright’s month-long war against Indian tribes of the Upper Columbia Plateau typically are filtered through a lens of historical and cultural context. The cruelty of Wright’s tactics during the Plateau Indian War of 1858 are undeniable. He hanged 16 Indians, including some who had surrendered after being told their lives would be spared. He ordered the slaughter of more than 700 horses and other Indian livestock captured near Spokane. Villages and food supplies were raided and destroyed. Yet any trepidation over Wright’s depiction as a frontier hero or the devastation of his military campaign—essentially a prelude to the fiery Sherman’s March across the Confederate South six years later—often have been explained away as simply circumstances of a different era. Cutler peels away those simplistic filters to explore deeper issues surrounding Wright’s legacy and the faltering narrative that built it. Through meticulous research and careful review of the violence on both sides leading up to the 1858 war, Cutler takes readers on a journey through the events that shaped Wright’s military career along with the region’s turbulent political landscape at the time. A retired banker, Cutler now is an independent historian of the Columbia Plateau and the Pacific Northwest. 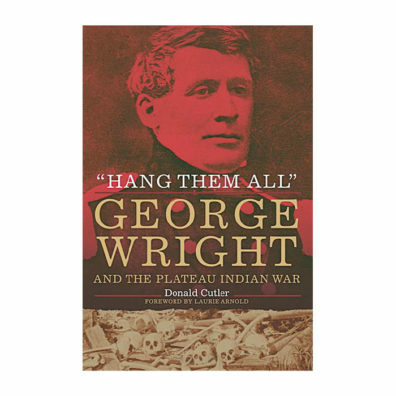 His book candidly recounts the brutality of Wright’s tactics, including the hanging of Indian detainees in front of their families. But he stops just short of calling Wright a war criminal, largely on technical grounds but also because it’s clear the colonel was under unmistakable orders from Washington, D.C., to punish tribes for previous attacks on miners, settlers, and military units while also forcing their compliance with unpopular treaties. Either way, though, controversy has dogged Wright’s legacy. As greater understanding of his tactics spread, the heroic narrative grew even more elaborate, with early historians and others depicting Wright’s army of 700 soldiers as vastly outnumbered underdogs, even though they were better armed and likely faced an Indian force of roughly similar size. These are the kinds of dichotomies where Cutler puts his greatest focus. “The depth of passion that accompanies some stories of Wright’s actions perhaps indicates a defensiveness that compensates for an unwillingness to admit that U.S. western expansion came at a high human price,” Cutler writes. Wright was a veteran of the Seminole Indian wars and, perhaps surprisingly, had been among a handful of U.S. military officers suggesting that settlers in the Pacific Northwest bore some of the blame for worsening relations with the region’s Native American tribes. Politically, he was at odds with territorial governor Isaac Stevens, who, in addition to negotiating treaties with the tribes, was serving as a consultant for railroads wanting more land for new train lines. Growing numbers of settlers moving into the Inland Northwest had created tension with tribes and the treaties that had been negotiated were still awaiting congressional approval. But in the spring of 1858, following a series of violent clashes between some tribes and settlers, a combined force of about 1,200 warriors from the Coeur d’Alene, Palouse, and Spokane tribes attacked a U.S. military force under the command of Col. Edward Steptoe near what is now Rosalia. Humiliated by the defeat, and under pressure from settlers calling for protection against Indian raids on their farms and cattle, the federal government ordered Wright to muster an army, avenge the attack, and force tribal compliance with the treaties. Wright’s strategy, built on his training at West Point, was to strike such fear in the Indian population through cruelty, brutality, and destruction that they would beg for peace. Armed with superior weapons and military training, Wright’s tactics achieved his goal but with devastating consequences for the Native population—not just the warriors who chose violence. Cutler suggests Wright was neither a war criminal nor a hero.